As you travel throughout the countryside and towns of America, you can’t help but take notice of the various weathervanes and whirligigs that grace rooftops and gardens as well as those that have made their way into homes and museums as folk art objects for display. 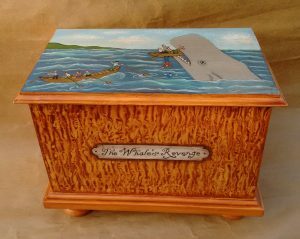 Over the past twenty three years, I have developed an increasing interest and passion for this type of folk art. I began collecting antique originals and then started researching folk art objects to handcraft weathervanes, whirligigs and trade signs in the true folk art tradition. Most of the wood used in my work is over one hundred-year-old heart pine salvaged from various 19th century barns and outbuildings in upstate NY. I also incorporate antique copper, tin and iron into my work. 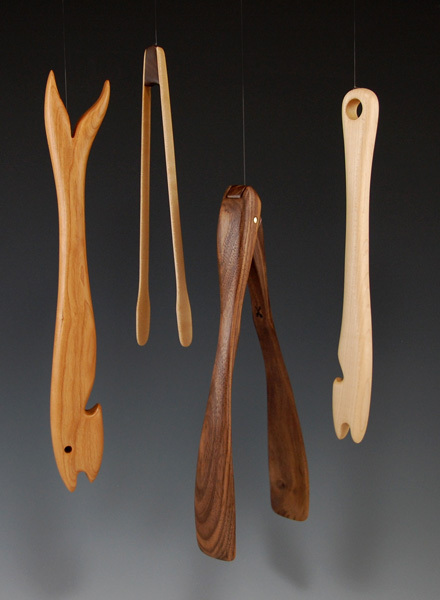 Various tools used to handcraft each piece include chisels, draw knives, handsaws and carving knives. At Andersen & Stauffer, we create authentic copies of 17th, 18th, and early 19th century American antiques. How do we accomplish this? By being exacting. And passionate and experienced. Founders Alan Andersen & Tom Stauffer have been working with wood for as long as they’ve been able to hold hammers. Together, our team develops and perfects techniques to construct classic pieces and simulate antique surfaces, as well as conserve and restore cherished pieces. Our deep passion for the history of American furniture, and knowledge of both its form and function, is what drives our desire to painstakingly recreate timeless bench-made furniture. We use only the best grade hardwood, employ mortise and tenon joinery, and use hand cut dovetails. We use no automated joinery techniques, and never, ever, any plywood. All carving is done by hand, and we have been sought out by clients around the country for our highly specialized hand-rubbed finishes. We can match the color and finish of an existing object, or create a unique blend to suit a client’s individual needs. Then, we finish with the highest quality brass hardware available, from Londonderry Brasses. We have been recreating pieces for clients for more than 25 years, and are proud to label, sign and date each one. And that’s why we have continually been rated among the 200 Top Craftspeople in America by Early American Home Magazine. And are engaged by renowned museums like Winterthur Museum and Old Salem Museum and Gardens to partner in their replication projects. Our knowledge also makes us a trusted authentication resource for auction houses like Sotheby’s and Christie’s. After 30 years of having a design firm in Washington, DC; I now live on the Sassafras River in the country and work mainly on glass constructions. They range from skylights, lampshades, mirrors, standing screens, and of course windows. Most of my work is for commissions and all of it is one-of-a-kind; using antique and dementia glass objects. Photography originates with light. Pattern is the form, the symmetry, the composition. Motion is an expression of time… I consider these the essential elements of photography. They are the pieces of the puzzle that is the creation. How and where I choose to place these pieces, a combination of my perspective and integrating elements to form the whole, is where I depend on intuition. This is where my art is born. From the back woods of Vermont, to the western shores of Washington; high in the Andes of Peru and deep into the wild of Alaska, I find inspiration in what is often overlooked- the simple things that blanket the earth. Magic lives everywhere; the feathered blade of golden grass blowing in the wind, the current rippling in a mountainside stream and the ever-changing light defining the voice of those moments. I am fascinated by how we perceive reality and how that perception determines what we see. I seek the poetry of our landscape; the imagery I hope to convey. The sacred moments where light, sound, color and texture harmonize make me smile…. This moment will never be seen quite the same again. 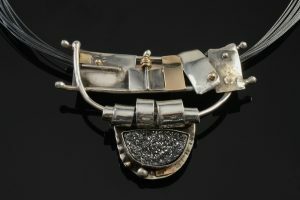 As a specialist in hand forged and braided metal, I use a mixture of traditional silversmith, blacksmith, and goldsmith techniques and equipment to create historical wearable works of art. I am a native of North Carolina, trained in historical archaeology, with a subspecialty in metals. I am a trained jeweler and a self taught traditional silversmith. I do all the work by hand, one piece at a time, from initial design to final polishing – no mass production. From time to time I teach this work to apprentices who also help me at art and craft shows while I demonstrate my techniques. My knowledge base comes from period texts, paintings, etchings, and techniques which I’ve reverse engineered using methods learned in my training in archaeology and museum conservation and restoration. I spend hours in museums examining period paintings, etchings, prints, and sculptures attempting to tease out jewelry design and construction. Many of my patterns are based on archaeological research, published reports, texts, field notes, and interviews with curators at period archaeological sites. Two of my chain designs are based on artifacts recovered from period (1715) ship wrecks off the coast of Florida. The button designs are based on two period buttons (one pewter and one silver plated or gilded) excavated in Strasburg, Virginia. I also have fun creating some contemporary or art deco pieces. As a result, my designs create some of the most accurate reproductions and examples of historic colonial style jewelry, especially with respect to my hand made chains, hand forging, weaving, repousse’, chasing, and embossing. 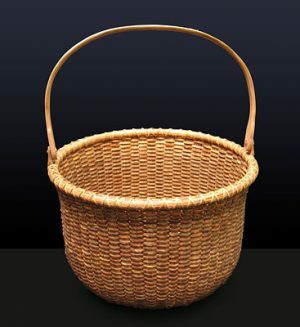 I began experimenting with Nantucket basket construction about 35 years ago after seeing a small broken one at an antique show. I have been a hands on creator forever, jumping from sewing stain glass window making, weaving, knitting etc. I dabbled in shaker baskets at first but once I saw the Nantucket that was it. I still have my first basket with its handle made from a large twig from a tree in my back yard. My basket growth has been all on my own since in the early 1980s there was nothing available without being on the island. The third edition of the Seeler book in 1981 was my teacher. It however left out a number of salient facts which had to be learned by trial and error if you weren’t out on the island with a teacher. One of the greatest joys of my development as a basket maker has been that when faced with a technical obstacle and no teacher I consistently seem to have solved it the same way the old guys on the island did many years ago. Over the years I have participated in many lovely folk art shows and have been privileged to be included in Early American Life magazine of Outstanding Artists as well as being featured in Country Living. In addition I have had a nest of small baskets included in a show of miniatures at the Nantucket Basket Museum on the island. My baskets are in many personal collections both here and abroad. I have done all my work myself from the beginning. This includes molds, rims, handles, and for the last several years scrimshaw. Much of my work now is custom one of a kind baskets and historical reproductions woven of old cane, sometimes with baleen embellishments. In addition I do restoration of treasured antique baskets in private collections. I still learn from every project and enjoy it as much now as I did with my first homely attempt. Our story begins centuries later. Daphne Contraros Rioux, founder of Lakonía Greek Products, grew up in a small agricultural village of Stefania. Although Daphne has lived most of her life in the U.S., she rediscovered her roots in the late 1980’s while visiting relatives in her homeland. It was then that Daphne encountered Lakonía’s exceptional olive oil, and became intrigued with its high quality and smooth, rich taste. She realized that this locally produced oil was far superior to any available in the U.S. In 1998, Daphne acquired a parcel of land covered with olive trees located on the outskirts of a small fisherman’s village called Gythio. Her first harvests produced a small amount of extra virgin olive oil and Kalamata olives that she shared with family and friends. With time, demand grew and soon Daphne acquired additional land and planted many more olive trees. I measure the pots with my fingers and adjust the kiln according to the sound of the burners and the color of the flame, so some variation in size, shape and color is to be expected and valued for its is is the whole point of handmade pottery in a machine world where everyone agrees the highest and best use of silica is in the manufacture of microchips for computers. The clay I use comes from ancient mountaintops washed down into stream beds over millions of years of rainy days. When my bones have crumbled to dust and this website is forgotten, archaeologists yet unborn will excavate my studio and find pieces of pottery with my stamp on them. I decided that if Paul Gauguin could quit his job to become an artist at 37, so could I. But instead of leaving my wife, two small children and two large dogs and going off to Tahiti to drink myself to death, we all moved back to the Berkshires and established the Daniel Bellow Pottery in Great Barrington in 2002. My work is sold in finer galleries and in Anthropologie stores from coast to coast. I teach at the Great Barrington Waldorf High School and IS183 Art School of the Berkshires. In the summertime, I fire wood kilns with my friends here in the North Carolina of the North. Growing up in Easton, Curtis discovered the ancient art of glass blowing while in high school. 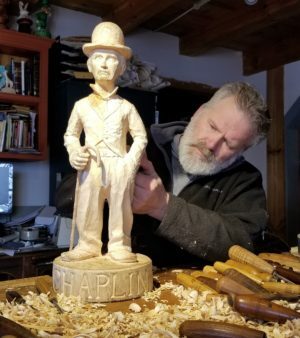 In the summers, he took classes at Bucks Rock Camp, New Milford, and continued his studies at Rochester Institute of Technology’s The School of the American Craftsmen. Joe has been making Windsor chairs and restoring period furniture in beautiful Lancaster County Pennsylvania for almost thirty years. After working as an engineering model maker, his time spent in a prestigious Lancaster County restoration and conservation shop allowed him access to some of the finest examples of Windsor furniture available. From here, Joe was able to choose the finest examples to reproduce, for both elegance and comfort. 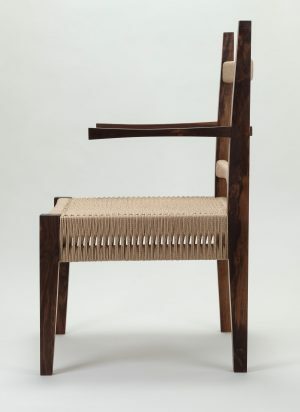 Paying special attention to period construction and joinery techniques,as well as historically accurate colors and surfaces, Joe’s chairs capture the 18th century in in both form and function. Our pieces are built to last more than a lifetime. We work with locally sourced woods, including hard maple for the base, two inch thick tulip poplar for the seats, and tough and resilient hickory or red oak for the spindles, steam bent arms, bows and crest rails. While we are quite proud of the form and construction of our chairs, it is the paint surfaces that set us apart. DeLuca Windsors have been shipped coast to coast as well as Germany and numerous museums in the east. Having grown up in a house full of creative people, I always knew I liked to make beautiful things. Whether building a cardboard box dollhouse, molding a pinch pot bowl or even performing an interpretive dance, I always liked creating. And then, one day, my jewelry-making mother and sister brought me to a local bead shop, and Emmy Starr Designs was born. I am drawn to simple designs made with classic sterling silver and timeless gemstones. Nothing too glitzy or showy, just lovely stones in graceful designs. I want my work to be comfortable and easy for women to wear, whether it’s a day at work or a weekend date night out with friends. Jewelry should be a subtle complement to a woman’s individual beauty, and the delicate nature of ESD pieces echo that belief. When I am not squirreled away making jewelry, I can also be found playing with porcelain in the clay studio. Again, a simple desire to make functional pieces that make people smile. My most beautiful creations are, by far, my adorable four kids, original works with my charming husband. We all live happily together in Wilton, CT. Fascinated by American Indian beadwork, Faith Fellows studied the earliest forms of bead and quill work and the various tribal influences at the American Indian Museum in New York. Today she incorporates artistic influences from many indigenous cultures into her bags. Each motif is meticulously embroidered on a field of richly colored velvet or suede set into the leather of the bag, creating one-of-a-kind American treasures. She works in South Royalton, Vermont. I carve birds and whales and boats. I spent a great deal of my childhood on the coast of New England. These were my passions than and the drive my artwork today. My artwork comes from my life and my experiences. I spend much of my time in the woods and on the water…just watching and thinking about what I will make next. I love sharing my joy through weaving. I draw inspiration from nature and the magical world around us to design and create beautiful, functional scarves, shawls and home goods that enhance one’s home or lifestyle. 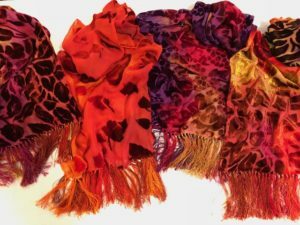 Specialties are my original “Story Scarves” and “Story Shawls” that share tales and life experiences woven into fabric with vibrant colors and rich textures. I often incorporate novelty yarns and contrasting fibers into the same piece. I weave mostly on an 8-harness cherry Norwood loom and enjoy demonstrating on my portable 4-harness Harrisville. . I spent two years artistically crocheting and selling original scarves; spent a year studying the centuries-old craft of basket weaving with reed, adding found materials collected in the woods; and traveled to the tiny villages outside Oaxaca, Mexico to experience indigenous handweavers’ craft and culture. Traveling provides an endless source of inspiration for me and I look forward to many more adventures! As a young apprentice to my artist grandmother, I learned the process of creating floor cloths at the age of 13. While studying under my grandmother I was even mentioned in Country Living Magazine. I am very proud to be carrying on the tradition today. I love the process of putting an idea onto the canvas and seeing it come to life. I want my work to be enjoyed in your home as much as I enjoy creating it. I’ve been obsessed with books all my life – reading them, collecting them, and now creating them. I started studying bookbinding over 15 years ago, originally to learn how to repair the books I collect. But that has evolved into making my own creations, which gives me a huge amount of satisfaction. 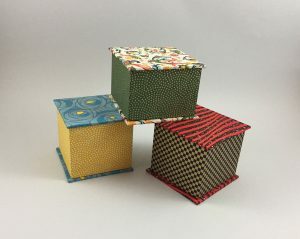 I love combining leathers, papers and other fabulous materials to make my journals, ornaments, and boxes. All are completely made by hand, using the traditional methods I’ve learned over the years. Heidi began to paint historic reproductions of trade and tavern signs when her interest in early American country painted antiques collided with her artistic background. After graduating from Rhode Island School of Design with a degree in Fine Art, Heidi went through a natural progression of nomad, waitress, seamstress, hatter, mother, and, ultimately, historic trade & tavern sign painter. What a wonderful culmination of a life-long interest in art and antiques and the actual (gasp!) use of one’s college degree! 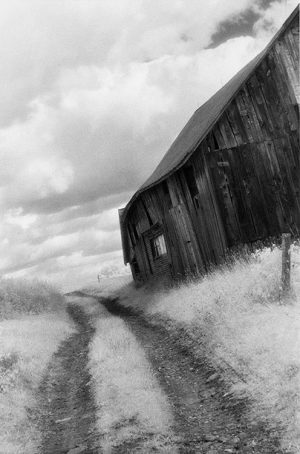 Her attraction to weathered surfaces and crusty paint began early though, having spent her childhood in rural Vermont, surrounded by barns, rusty farm equipment, and other glimpses of history. Heidi continues to be inspired by her New England surroundings. She splits her time between creating painting for gallery shows and working with school children to create permanent murals in public schools in the artist residence programs with the Maryland State Arts Council. 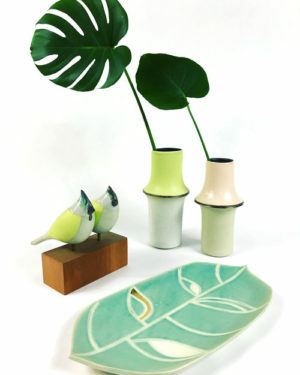 Combining her painting skills and her knowledge of vinegar-graining, she creates decorative furniture and accessories. Her Early American vinegar-grained furniture has been featured in Country Living magazine and sold at ABC Home in New York City. Her smaller grained boxes are currently sold at the gift shop of the National Archive Museum, Washington D.C.. She is a visiting artisan at Colonial Williamsburg where she gives vinegar graining demonstrations during the year. A native New Englander, Christopher LaMontagne is an accomplished, highly sought after builder and timber framer who has has travelled to Europe to study timber framed buildings. He is an extremely multi-faceted artist, furniture maker, architectual wood worker, expert wood carver, sculptor and wood turner with legions of satisfied clients. Christopher is one the most dynamic, versatile and multi-talented woodworkers in the U.S. today. LaMontagne’s attention to detail is the trademark of a master craftsman, as the intricate carvings of his work demonstrate. With integrity and innovation, he has found a perfect balance between Old World and contemporary building techniques. His versatility, skill, energy and dedication to his craft are uncompromising, establishing him as a professional who is well suited to commission projects of any size. What makes Christopher unique is his talent for taking an idea, thought or dream, whether his own or someone else’s and transforming it to reality. His amazing two dimensional drawings magically transform concepts into masterpieces that are complicated and visually exciting. If you have an idea or dream requiring an Artist and Master Craftsman, you’ve found the one who can bring it to life. I was born in Venezuela and recently moved to the US. I became a ceramicist before I knew I was one. I was born to be one, it fulfills me in every possible way. I took ceramics from my mother, she had a studio at home, but she was never able to work on it, it was a hobby that never happened! It was there for me and my siblings though, and we grew around it. When I turned 20 it became clear to me that I wanted to develop a career in ceramics. I had become a potter from the moment that studio was settle. Almost 30 years ago. I just hadn’t realized it until then. I love wheel throwing, but, also enjoy the endless possibilities of hand building. My work clearly shows inspiration drawn from the natural world plants in particular and more recently birds, as well as my taste for color. My palette is the result of 20 years of research for the right tones and textures, I am very proud of it but I am sure it will keep evolving. Just like the work I do. I started working with earthenware but quickly moved to stoneware in which most of my body work I did while living in Venezuela was made. After moving to the US 8 years ago, I decided to try and work with porcelain, given the fact that I was setting a new studio I thought it would be an interesting thing to do. I am loving it, though I’m not sure it is a definitive transition which is fine, I can deal with change, my work is always changing and I love when it happens, I allow it to happen. At the end it is my response to the world around me, a world in constant renewal. Unlike some craftspeople who are simply designers with a factory here or abroad, and a warehouse of stock waiting to ship, Tom and I design and MAKE each piece that comes out of our workshop. Our simplest piece, the humble cheese knife, takes 11 steps, but most require 20 steps to complete. Come to a show to get first dibs on our newest inventions and our one-of-a-kind work. No big factory, no outsourcing, no crowds of employees. Just us. Meb and Tom. And a few friends from time to time. So we DON’T keep masses of product (all the same) ready for purchase. When you want something, maybe we’ll find the one you want waiting here in the workshop. But most likely we’ll make you one, out of the type of wood you want, with special requests (use your imagination) sprinkled in for good measure. The first time I walked into the textile design department in college, I knew I was ‘home’. I wanted to try everything! As it turns out, in the years since then, I have tried it all. Most of my career was spent as a free-lance designer in LA, screen printing and fabric dyeing for small clothing manufacturers. I was also fortunate enough to teach screen printing at FIDM and soft toy design at Otis College of Art and Design. My corporate career in toy design brought me to the East Coast. Since ‘retiring” I’ve been busier than ever with my new found love of weaving and my old friend of silk dyeing. Maureen Mills finished her undergraduate degree in Chemistry while continuing to explore her love of clay and continued to pursue art through her MFA degree from University of Nebraska-Lincoln. With her husband Steven Zoldak they moved to Portsmouth NH in 1987 to operate a studio on the grounds of Strawbery Banke Museum. Her experience, like Steve’s, demonstrating at the studio at Silver Dollar City in Branson Missouri under Harvey Bufford laid a solid groundwork for working with the public while continuing to work in clay. As an author, a recent Arts Council Fellow and a recipient of the Artist Advancement Grant, Maureen has continued to pursue work fired in a wood burning kiln. She creates layers of imagery and patterns on her work, using the dramatic results of the firings to accent color and pattern. She is also the author of Surface Decoration for Ceramics, a Lark publication and is the Chair of Ceramics at the New Hampshire Institute of Art, where she has been faculty since 2001. Kathie Ratcliffe interprets 19th century quilts in miniature using historically accurate fabrics and authentic color combinations. Her quilts evoke the regional idioms and fabric trends of the most dynamic period in quilt history. Her work reflects the change in style from early chintz quilts to the bold graphics of the late 19th century. The vibrant colors and patterns recall the best traditions of American quilt art. “As I work, I sense a connection with the women who made those early quilts, with their creative choices as well as their lives and their historical context. In my miniature pieces I hope to preserve and validate these singular, deeply personal works of artistic expression.” Kathie’s intricate, signed pieces are offered in handgrained frames with archival mounting. I am often asked why I started making soap. 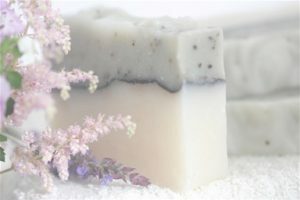 The answer is simple really – I love everything there is about soap – from fine french milled soap to rustic country soap – I am completely drawn to it….by the texture, the smell, the appearance, even the packaging!! In 2009 I started Nod Hill Soap and embarked on my soapmaking journey. With no knowledge of how soap was made or even made from, I set out to learn how to make this alluring substance. Researching ingredients and techniques I began to create the soap of my dreams – a soap to nourish my body and soul – with a luxurious, creamy lather, gorgeous scents, light, fluffy bubbles, amazing skin loving properties and beautiful packaging. The entire experience resonated deeply with my creative spirit – from the artistry of designing the soap to the art of creating the packaging, I found pure joy. In 2012 I took my soapmaking out of the kitchen and opened my shop in Wilton, CT where I both create my soapy masterpieces and also display them for sale in a lovely European-style inspired, tiny boutique full of light, soothing music and amazing scents. It’s the perfect place to come shop for that last minute hostess gift or special birthday present (knowing it was made right in the next room). In addition to soap, I make wonderfully luscious lotions and lip butters, refreshing rose water facial toners, soothing bath salts, rejuvenating salt and sugar scrubs, lovely scented sachets and room sprays to freshen up your home and so much more. I also offer elegant custom guest soaps, party favors and gift baskets perfect for bridal showers, hostess gifts, teachers’ gifts, corporate gifts, holiday parties or any special occasion. Most of our windows date from the mid nineteenth to the early twentieth century. They are transformed into art by applying various finishes to the frames. The frames are painted for antiquity to create either patina or hand-rubbed, weathered glazed finishes. Our newest items are clock head curio cabinets created from architectural artifacts. While mimicking the human form they are both functional and whimsical~ a new twist on the ‘grandfather clock’. Natural freeze-dried, lacquered flowers and mirrors are just a few of the materials used to create unique yet functional architectural art. In addition, beautiful curio cabinets are crafted from vintage windows and late nineteenth century salvaged barn siding finished with authentic Victorian hardware. Other architectural elements used are vintage headers and antique doorknobs transformed into hanging racks. One of our most popular items is a key holder. Created from reclaimed wood (barn siding or vintage molding) with back plates and an array of doorknobs (porcelain, brass or glass etc.) from the last century with skeleton keys used as the hooks. I specialize in hand painted signs which recreate iconic symbols that appeared prior to and during the American Revolution. There are many historic images that appeared during this period, instrumental to the formation of our country, that have been lost throughout time. I believe that Americans should know the meaning behind some of these images which helped to spark the birth of this great nation. My objective is to reintroduce some of these meaningful symbols as a way to educate and celebrate our national freedom! I have been interested in type and printing since I was a girl; my father worked for Mergenthaler Linotype. Growing up I assumed everyone’s dad pointed out good and bad examples of typography. My love for the printed word was always in the background of my life. Raising a family and investing in my home and garden in Connecticut left little room for other pursuits except for watercolor. Now my three daughters are grown and I finally have the most precious gift of time. I started taking letterpress classes. Once I got my feet wet and my hands inky, I was hooked. Slowly and steadily I turned my basement into a Print Shop. So here I am, enjoying a new phase of my life. You could say it all started with watercolor. I love to paint flowers and little still lifes. 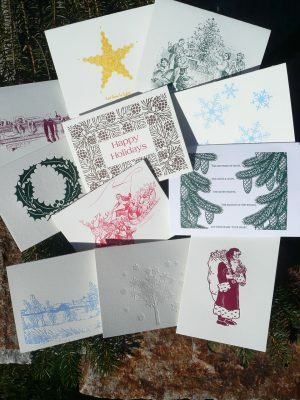 That led to creating cards and invitations for friends, and that led to Saltbox Press! 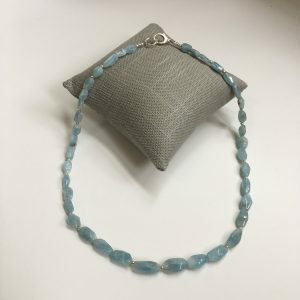 At Silver Stone Designs, I provide you with unique, affordable jewelry design in CT. With more than a decade of experience behind I understand the importance of creating jewelry that is going to inspire and awe you. I’m not just a company that produces items that are not knowledgeable about, but instead, I spend hours learning about the metals, gemstones and fabrication of metals. My jewelry is handcrafted with silver and stone in a fully equipped studio. Even though there are numerous samples on the website, they are all truly unique in their own right. If you end up finding something on the site that you love, I can work to recreate something similar for you. Silver Stone Designs attends numerous shows and events so you might be able to find us near you soon. My silversmith jewelry begins with an inspiration that is drafted on paper first before transferring it into a silver creation that is awe-inspiring. When it comes to handmade jewelry you can trust in the fact that I can do everything I can to create pieces that you will cherish for years to come. Take the time to browse through all of my products to see what I have to offer. Once you have the chance to view the items, you are sure to find a style that you fall in love with! Artist Kolene Spicher has a unique style and flair with her paintings that is easily recognizable. 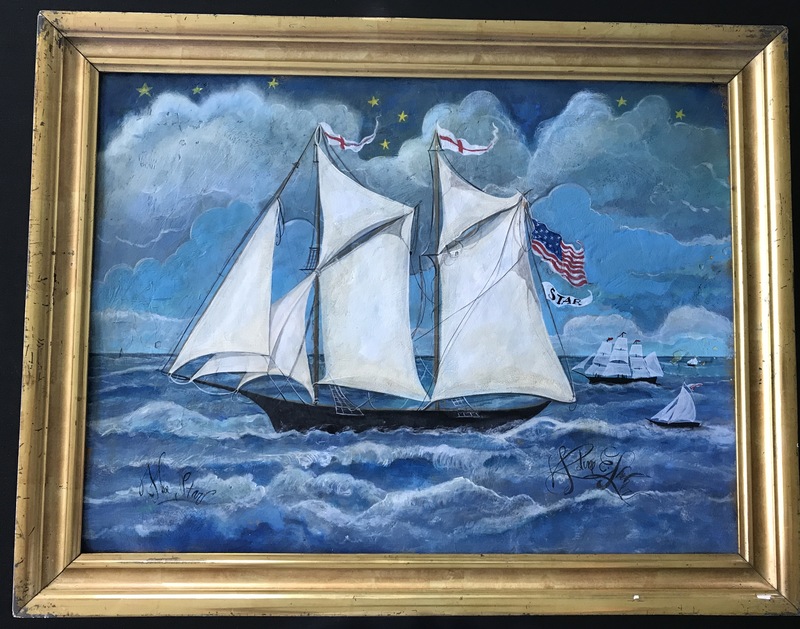 One of Kolene’s favorite places is the island of Nantucket, located 30 miles out to sea off the coast of Cape Cod where she showcases her original artwork. More recently she has been experimenting with making pottery. Kolene’s artwork has been produced and used on a special series of Alicia Klein’s leather “taxi wallets”. And TV shows from “the Sopranos”, “Even Stevens” and full feature films including “Deep End of the Ocean” have requested permission to use Kolene’s artwork in their filming. Nature is my primary inspiration. The tides and salt marshes of the Long Island Sound have been an area of contrast for me. Though it provides a sense of permanence, there is always growth and change happening. The sense of energy and freshness completes me, simple marsh grasses swaying skyward toward light. I create organic textures with my jewelry and my painting. The work is sculptural and emotional, conveying a spirit of Zen-like calmness. We are a design studio located in Virginia Beach, Virginia and we specialize in creating custom one of a kind art using primarily wood, metal and paint as our mediums. Our focus remains mostly in the realm of traditional folk art, however we can custom create anything from scratch as long as you have an idea. The rich history, culture and diverse beauty of landscape in her native New England has helped to shape Sharon’s art for the last 30 years. She began as a self taught acrylic folk artist while living in a small New Hampshire town. Currently creating in the restored shoemaker’s cottage on the grounds of her 18th century Massachusetts home she has made the transition to oils via interpretation of the old masters. A whole new window into the art world was opened up with classes and study at the Boston Museum of Fine Arts. Memberships in local art associations and with historic and preservation groups as well as an abundance of art museums to explore afforded new opportunities for yet more knowledge. She has become particularly intrigued by the style of the Hudson River painters of the 18th and 19th centuries including the White Mountain painters and the marine art of local master Fitz Henry Lane. 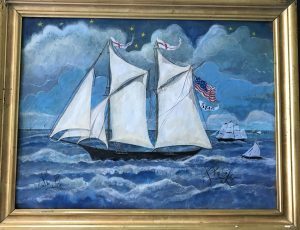 Sharon has aspirations to create her own New England painting style from what she has learned from artists past and present while at times adding a little whimsy that will be enjoyed for generations to come. When Gary Vaillancourt gave his wife, Judi, a gift of three antique chocolate molds in 1984, neither of them knew it would signal the start of a new family business of “made in America.” In the years since, Judi’s collection has grown to over 3,000 vintage molds — one of the largest collections in the world. She uses her molds to make hand-painted collectible chalkware figures for all major holidays — especially Christmas. Today, Vaillancourt Folk Art (VFA) is one of America’s last remaining Christmas ornament and collectibles makers. Unlike most Christmas collectibles, which are manufactured overseas, Vaillancourt chalkware figures are still made by hand at the VFA studio in Sutton, Massachusetts. 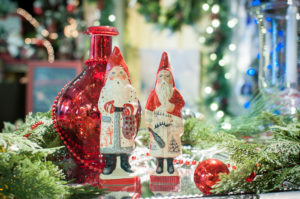 Visitors can tour behind-the-scenes as artists hand-paint different variations of chalkware Santas, Father Christmas, Belsnickles, and non-Christmas figurines. My passion is dismembering trees and then reassembling them. I draw inspiration from a range of sources, including Japanese joinery and Danish design, to the daily developments in American craftsmanship. Above all, I seek harmony in form and function. I use locally sourced hardwoods and rely on time tested traditional joinery techniques for the construction of my furniture. My finish work is done primarily with edge tools. I prefer simple oil finishes, but on projects where surface durability is vital, I work with the client to select the appropriate product. Satisfaction is working with a client to find that piece of furniture that transforms a space into their home.